Chameleon Wellness endorse the products we use because we truly believe in the quality and results we see in these products. Mesoestetic Laboratories is a multi-national pharmaceutical company specialising in the development and manufacturing of topical medications, medical aesthetic treatments and devices, cosmeceuticals and nutraceuticals for aesthetics professionals. The company’s constant efforts in research, development and innovation, combined with stringent quality control, have lead to the evolution of a brand well-known, respected and recommended by aesthetic doctors, dermatologists and skin care specialists worldwide. Mesoestetic is a Spanish company founded in Barcelona in 1984. Today the brand is represented in over 60 countries and continues to grow. Lamelle Research Laboratories is a South African biotechnology research company that manufactures products that are innovative and evidence based. Started in 2007, the founders have over 25 years of medical and pharmacy experience to bring a unique perspective to the industry. Lamelle’s core business was originally in medical aesthetics, and has diversified into pharmacy and all of the products are developed through a rigorous programme of review, research and meticulous production, proving to be the philosophy behind our extensive success. Combined with the continual search and use of innovative patented ingredients and formulas and paramedical training has brought Lamelle’s success and will continue to be at the core of Lamelle’s progress. The Lamelle product range that we stock include Dermaheal, Acnevelle, Luminesce, Nourish, Correctives, Serra, Renokin. Environ Skin Care (Pty) Ltd is a South African cosmetic manufacturing company founded by Dr Fernandes in 1990 and manufacture a full skin care range, distributed throughout South Africa and exported to more than 60 other countries worldwide. Environ skin care products are manufactured under strictly controlled laboratory conditions at the Environ factory in Cape Town, South Africa. 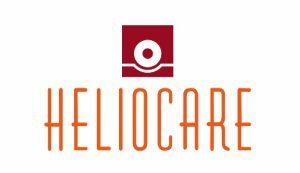 Heliocare is an advanced anti-ageing photoimmunoprotectant (sunscreen), containing Fernblock extracts from a Central and South American tropical fern plant and used for centuries for the treatment of inflammatory disorders and skin diseases. It also has antioxidant and photo protective properties to protect against the harmful effects of ultraviolet (UV) radiation from the sun and other sources. MAPP is a natural intensive treatment course to improve the condition of problem skin, pimples, white-heads and pus containing cysts on your face, back, chest and shoulders. – Disinfects secretions and promoting healing of the underlying cause. – Reduces excess production of sebum, thereby diminishing the volume of bacteria found on the skin. – Improves the function of the digestive system and the liver, both of which play an important role in maintaining a healthy skin. – The lipid lowering effect of the active ingredient helps control pimples, white heads & pus containing cysts or pustules. A Natural Intensive treatment course to improve the condition of problem skin, pimples, white-heads and pus containing cysts on your face, back, chest and shoulders. That’so Sun makeup is an innovative professional line of anti-aging, moisturizing spray tan solution and tan accelerators. That’so delivers a uniform golden color without leaving stains or streaks, and when maintained well can last for many days. It is the first product on the marketing that uses a formula based on sugarcane that delivers instant and lasting tone without clogging pores. The group has been operating since 1994 in the field of cosmetics and beauty equipment and over the course of just a few years, the company conquered the national and international market thanks to a solid know-how and highly innovative approach. It is this ability to stay focused on the future, investing in research and development and communications that has made them one of the most dynamic players in the tanning and professional beauty industries. The “Chili Wrap” cream is applied every 2 to 3 days after which the body is covered with a medicinal cling-wrap to help with the absorption and penetration of the cream into the body. The active ingredient of “Chili Wrap” is capsicum. Capsicum has the ability to increase the body’s heat production which in return speed up the metabolism of fats and carbohydrates. The ivy extract also lowers tissue sensitivity, activates circulation and helps reduce local inflammation. It contains malice acid, a natural fruit acid that encourages skin cell turnover. The products are made up purely of natural ingredients and are safe with no side effects.